No doubt that the digital world has upended conventional direct mail. A letter, postcard, or a self-mailer has a hard time competing with the efficiency and quick deliverability that an email campaign provides. But that is not the death of direct mail by a long shot. To increase responses, we use an efficient combination of direct mail and email. As the whole marketing world embraces email delivery, this trend actually supports a renaissance in direct mail. Once again, getting something in the mail feels special, and with the right message, delivers effective marketing. 1. 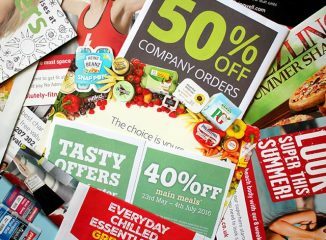 Unlike digital, a direct mail shows up on delivery and enters the hands of the person you are targeting…it is seen! 2. Even if not opened, the outside print presents opportunity to convey a brand, a message, and/or a promotion. 3. It is a secure media. Identity theft cannot happen through conventional direct mail, a growing concern in our email programs. So remember that when your target audience receives something in the mail, they will look at it, set it aside for later review, or throw it out. Even if they throw it out, direct mail still affords you an opportunity to convey a personalized message in as little as 3 seconds.